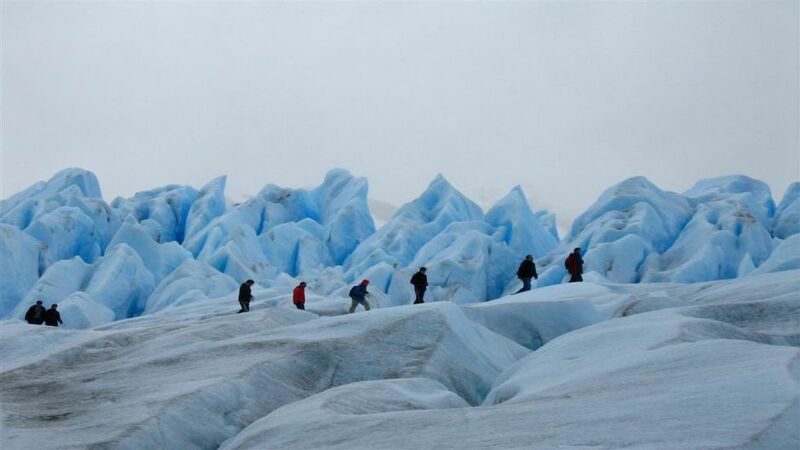 This Minitrekking by the Perito Moreno Glacier is a unique experience to walk on the ice fields of the Perito Moreno, the most famous glacier in Patagonia Argentina. The tour starts at your hotel, in where we will travel to the port labeled "Under the Shadow" (7 km. Before Mirador glacier). 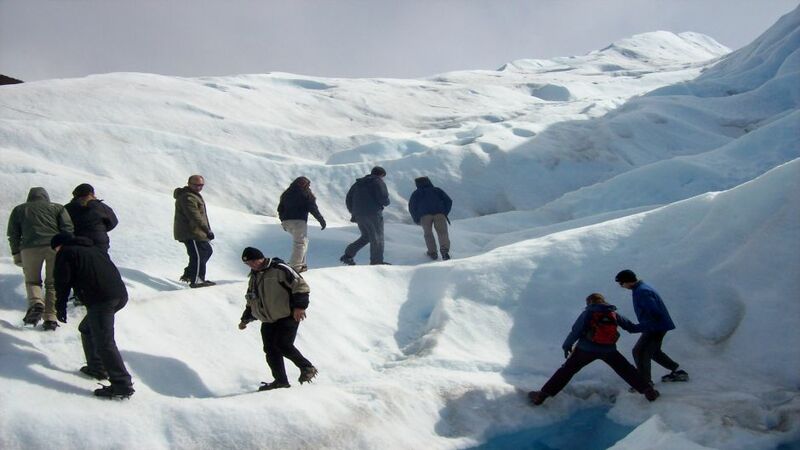 There he embarks to cross Lake Rico, reaching the opposite shore after 20 minutes navigation overlooking the south wall of the Perito Moreno glacier. After landing you enter the shelter where guides give details about the tour. Then begins a walk along the lake about 20 minutes to the glacier. At the edge of the ice the guides put the crampons to participants, who receive instruction on basic techniques of glacier hiking. The groups are composed of up to 20 people each. 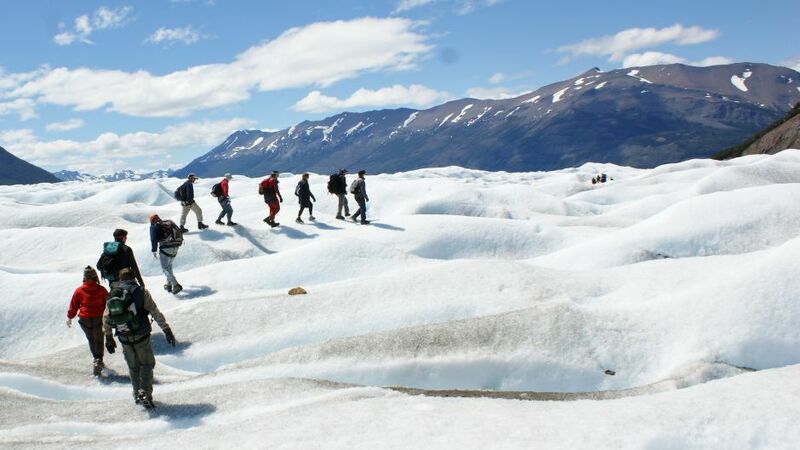 The route on the glacier, takes place in just under 2 hours and during the course of it you can enjoy a variety of typical glacial formations such as: deep cracks, seracs, drains, small lagoons, blue and the unique feeling of explore some of the most stunning natural beauties of the world etc. The hike is moderate. The ice surface over which you walk is irregular, but firm and safe. 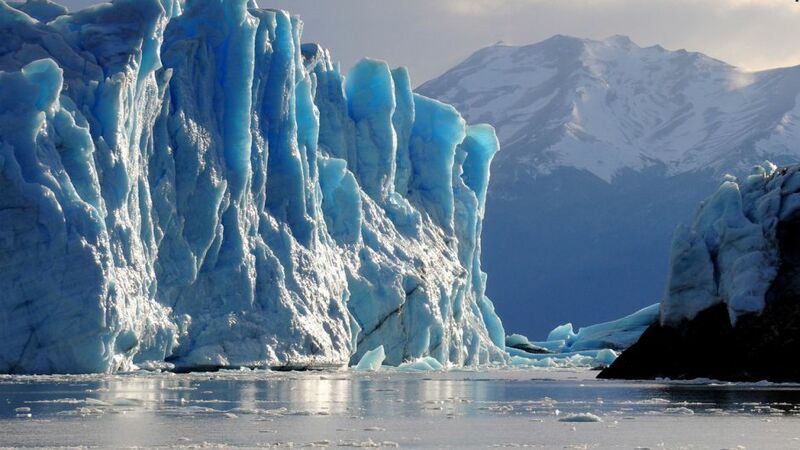 The guides provide information about the flora, fauna, and general glaciology of the region as well as the unique features of the Perito Moreno glacier. At the end of the walk, we return to the shelter through the lush Andean forest. 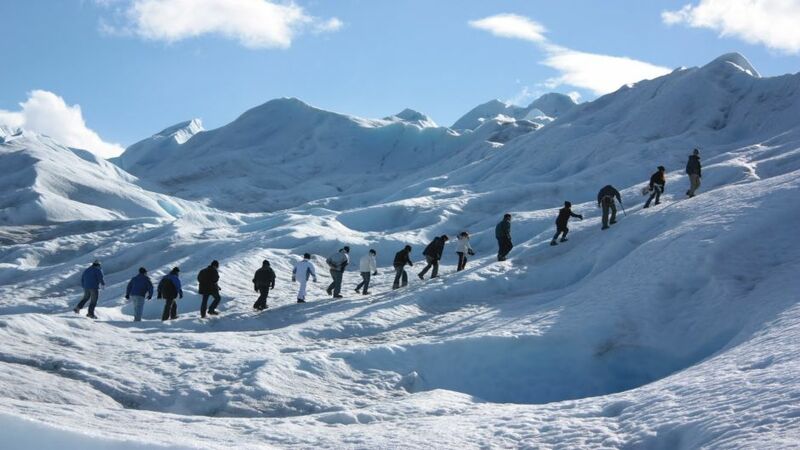 All services are performed daily and has continued attention bilingual mountain guides (AAGM-EPGAM-UIAGM) in the glacier. In one-way sailing the boat back considerably on the glacier wall to get another perspective. a) Age: this tour because of the degree of effort and difficulty that is not acceptable for people: over 65, under 10 years. Overweight or serious health problems. Pregnant women are not accepted. Before any doubt await your inquiry. e) Smoking: Smoking is prohibited during the course of the entire tour; either on the boat, in the forest, on ice or in the shelter. It is not suspended by bad weather. 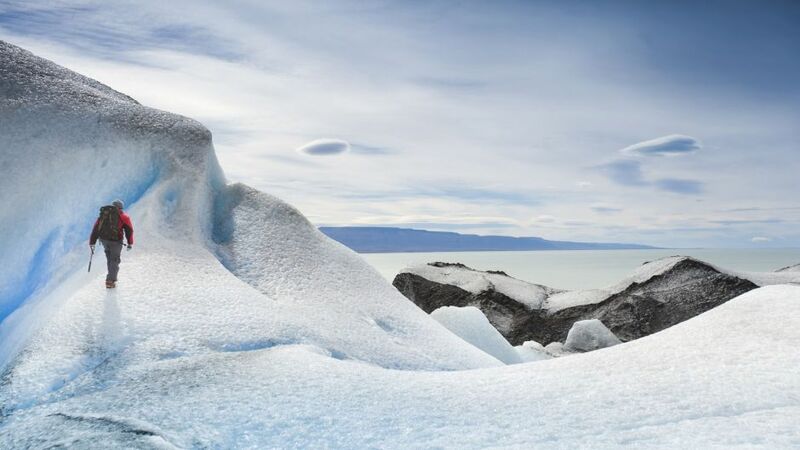 Start location: Hotels in El Calafate with the exception of these hotels: Austral, Patagonia Hostel, Shilling, La Loma, Apart El Calafate, Chalten, Amado, Apart Libertador, Accommodation Alejadnra, Oregon, Camping Shepherd and Santa Monica. Therefore passengers must contact the office at Av. Libertador 955 when we point it.